A palm oil free toothpaste powder to keep your teeth white and healthy. Peppermint, activated charcoal, and turmeric fight plaque and tartar. Handmade in Central Victoria, Australia. Free from SLS, SLES, parabens, fluoride, titanium dioxide, glycols, fragrance and mineral oils. 50g. 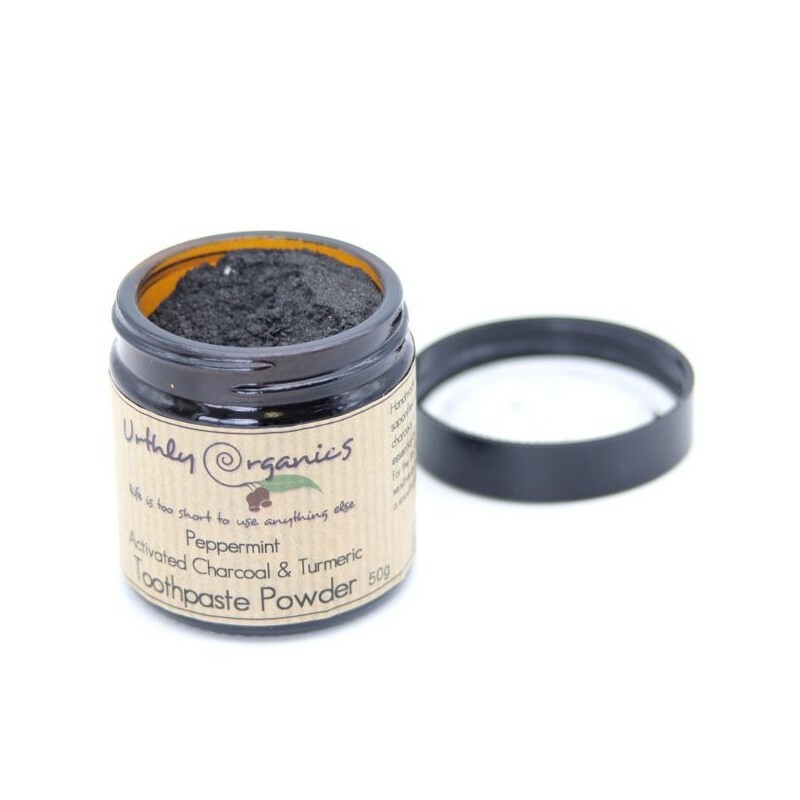 Sodium bicarbonate, saponified coconut oil, activated charcoal, turmeric, vitamin C, *coconut oil, essential oil. *Organic.